California Attorney General Gerry Brown made the remarks at a press conference where he talked about doctor shopping and about how, in the months leading up to his death, Haim used multiple doctors to procure 550 prescription pills. 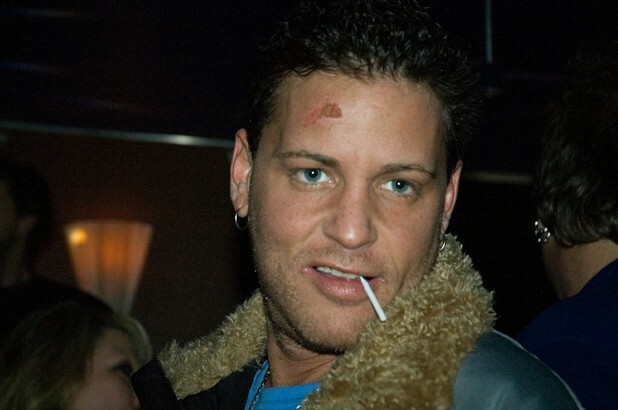 Between Feb 2 and March 5th, Corey Haim traveled to 7 different doctors to procure prescriptions to narcotic and sedative drugs. His efforts yielded him 550 pills in total, including 195 Valium pills, 194 Soma pills, 148 Vicodin pills and 15 Xanax. According to the LA County Coroner, Haim travelled to 20 doctors over the last year to get prescription medications. The coroner has not yet released a cause of death for the 38 year Haim, who was suffering from a flu like illness at the time of his death, and who has battled drug addiction for decades. California Attorney General, Gerry Brown talked to reporters about the situation, and called Haim a ‘poster child’ for prescription drug addiction and doctor shopping behaviors. He says that Haim would visit clinics and emergency rooms complaining of specific symptoms, such as shoulder pain, to get fast prescriptions to the drugs he wanted. Brown reported that the doctors who prescribed Haim the medications said they felt ‘duped’ by the actor’s lies and said that they didn’t know that multiple doctors were involved in his care and prescribing. Haim used an alias to get medications at least once in the last couple of months, and had used a stolen prescription pad to fill a scrip for OxyContin at least once. Brown urged doctors to make use of California’s prescription drug monitoring database. This database can provide doctors with a patient’s medication history, which can show doctor shopping behaviors. Doctors can choose to use this system at their discretion.